Gran Canaria, in the Canary Islands, Spain, changes its aspect at the turn of the road. Experience it while you learn photography with us at your own pace. 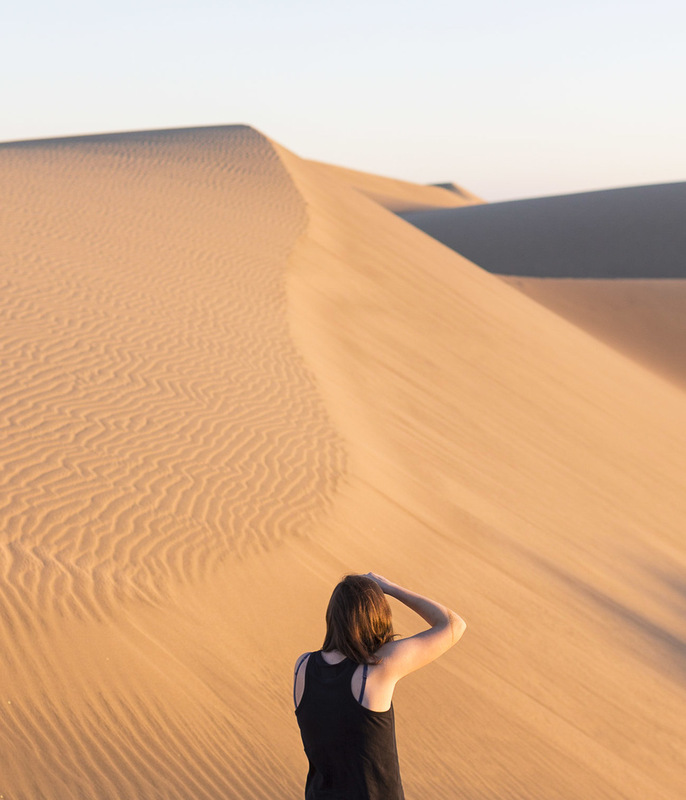 Develop your photography privately with our hands-on tours while you discover Gran Canaria, in the Canary Islands (Spain). Beginner, intermediate and advanced levels available. Tomás was raised in Gran Canaria and knows the island like the back of his hand. He is in love with the photographic possibilities of the island and is willing to share them. The northern part of Gran Canaria is constantly influenced by the cool currents of the Atlantic Ocean and the rain they bring along. Green forests are to be found side by side extensive banana plantations. Water has an important presence in the north. If not though the rain, through the sea. High waves constantly beat the black cliffs of the northern shore, either by solitary lighthouses or fishermen villages built on rocky tongues that enter into the sea. Whereas the northern part of the island is humid and green, the south is dry and warm. Almost all year long a bright sun shines over golden sand dunes, palm tree forests and white houses in small traditional villages made of irregular narrow streets. The warm south also allocates the impressive dry and rough cliff where the original inhabitants of Gran Canaria fought their last battle against the Spaniards. When realising there was no chance of winning they jumped to the void instead of surrendering. The eastern side of the island is known for its frequent wind. A wind that helps world champion windsurfers fly several meters high above the waves, a wind that blows through the rocks creating natural geysers by oceanic waterfalls, a wind that whistles through the grape yards that produce the fresh Gran Canarian wine. The East is also home of both painteresque self-constructed villages by the sea and some of the most antique constructions on the island. Miguel de Unamuno, a famous Spanish writer, in a visit to Gran Canaria defined its interior landscape as a "petrified storm". 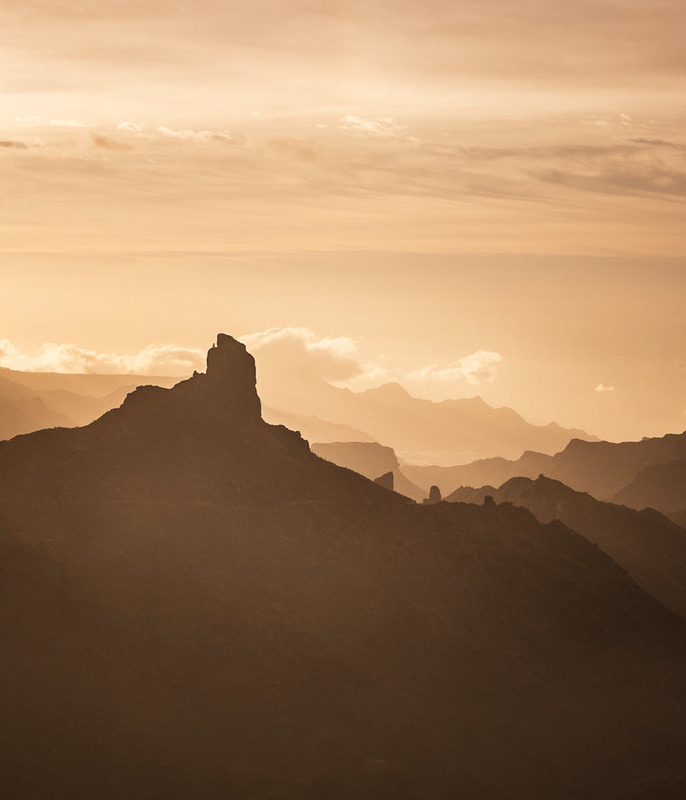 Some of the most iconic symbols of the island are to be seen here, like the Roque Nublo or the sight over the Caldera de Tejeda. Highlight the existence of troglodyte villages in the area with houses carved in the mountains and the large pine forests that cover most of the summit. Las Palmas de Gran Canaria was the place chosen by the Spanish conquerers to build their first settlement. It allocates the most noble and rich examples of Canarian architecture on the island. As a contrast to its old district, the area around Las Canteras, a long and beautiful urban beach, is where surfers and alternative young people get together to enjoy an easy going lifestyle. I was born and raised in Gran Canaria. I know this island like the back of my hand and I'm willing to share with others its wonderful photographic possibilities. After three years of hard work, I published a photography book: “Gran Canaria. Letters from the Atlantic” in late 2018. My goal was to create a comprehensive visual guide that is both, poetic and descriptive. Gran Canaria, the island that gives the name to the Canary Islands in Spain, is a truly “Miniature Continent” with a spectacular landscape which stands out for its wealth of natural beauty, its micro climates and its unique geographical terrain. Rocky mountains, pine tree forests, sand dunes, deep ravines and 128 marvellous beaches with clean, clear water that can be enjoyed in both winter and summer, are all ideal motifs to photograph and to experience. But Gran Canaria, the most populated island in the Canary Islands, is not only about landscapes. It's also about towns and villages with over 500 years of history. A history that is reflected in the architecture with its distinct colonial flavour. Our tours around Gran Canaria are aimed both at beginner and intermediate level photographers. Join one of our digital photography courses in September 2016 and unveil the photographer in you. Which route/s are you interested in? Where will you be staying during your stay in Gran Canaria?